As a professional when you start decorating a house the most obvious and most important place is the floor. People often seem to overlook the benefits of paying a particular attention to the floor. And the reason behind that is they see it as a fixed item which keeps the same look for years until it gets worn out. And it is true that flooring is not easily replaceable and can cost you money. A perfect accessory will give it a unique and enchanting look to any room. These floor vents add beauty and make the room look a class apart. The vents are a part of the central HVAC system which essentially controls the heating, ventilation and air conditioning. The vents for HVAC can be placed in the walls, ceiling, and floor. Placing it on either of these locations has its own set of advantages and requirements. That depends on what type of system you are looking for and then comes vents to look attractive from the outside at the same time. Today we are going to talk about how to choose the perfect floor vents. We are going to address the elements to look for when it comes to choosing floor vents. Here is a list of elements to look for the floor vents to make them perfect. What type of wood you are looking for? Want it pre-finished or not? The wood species is the most important factor as it determines how well it will perform. From the performance here I mean the durability of that type of wood. There are many types of wood available in the market and here are some of the best woods you can use for the flooring vents. All these species vary in durability and grain pattern and hardness. One more thing to consider is the flooring wood type. If you want to match it you can certainly match it with your choice. You can buy vents that are shiny and new or you can buy brand new wooden vents that look antique and add the feeling of timeworn character. And that is the best texture of wood you can look for to make it more modern and classy at the same time. When you are purchasing a floor vent from anywhere you would have to tell them if you want it prefinished or not. Having it prefinished would save you some time. But if the finish doesn’t match your flooring style then it won’t look good. So you have to decide what you want and what will look good according to the flooring. The hardwood gamut runs from blond to black, and that depends on the species and finishes. Some of the colors are universal and can be blended with any type of flooring but choose according to your flooring so it would look flush with your floor and adds beauty to your floor. If your floor has a special color and you can’t find the exact match, you still can find many stain colors at your nearest hardware store. If you decide to go with this option, you will have to choose a bare wood vent. Along with color you should be aware of the luster as well and ask yourself if you want it or not. And how it would look with the floor. Is your floor really glossy or matte? You want to match the luster of your floor with your vents or not? These are all different possibilities. One of the important things to consider is the airflow adjustment device. Yes, it’s the core of the HVAC system and if it is not good then what is the point of having a floor vent which doesn’t work properly. So the key thing here is that you need to look for the adjustable air flow which keeps your system intact and keep your room cool. The size of vents will depend on the HVAC system that is placed in the home and the sizes of the room. There are some standard sizes of floor vents available in the market which will fit any small to medium room requirements. But most manufacturers allow you to make custom sizes for the vents and if you are decorating a big ballroom then you might need to order some custom sizes vents. When measuring the size needed, you also have to decide if you want a flush or a top mount wood vent. Each of them having their own set of pros and cons. All the qualities and elements discussed here of the custom air wood vents that are robust and aesthetic makes for a perfect floor vent product that adds beauty and efficiency at the same time. You are looking for a product that matches all these qualities? We offer a wide set of grid models, with different types of wood and sizes. Visit our website and see for yourself that what kind of wooden floor vents are there for your project and are they suitable for your project or not. 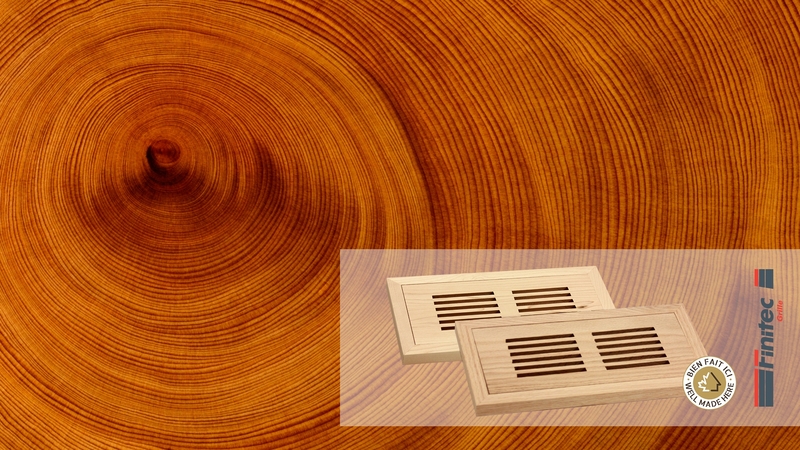 Our aesthetic and robust air wooden vents are rust free and you can order them in unfinished condition so you can perfectly macth them with the actual floor. We also provide adjustable air flow device across all our floor vents and you can also have them custom made specific sizes just for your requirements. Almost all of the wood species are available to choose from and that ranges from White oak, Red Oak, Maple, Ash, Hickory, and Yellow brich. You can either go for flush mount wood vent or top mount wood vent and each of them has their own advantages. Once you will have chosen your vents, don’t forget your coating to protect it from damages and your stain if you want to match your floor color. All these are also available on our website.